In a large bowl, thoroughly mix meatball ingredients. Form into 24 meatballs, and place on the baking sheet. Bake until cooked through, 8 - 10 minutes. Meanwhile, in a blender or food processor, pulse peaches until mostly smooth. Transfer to a slow cooker. Add remaining sauce ingredients, and mix well. Carefully transfer meatballs to the slow cooker, and stir to coat. Cover and cook on low for 3 - 4 hours. 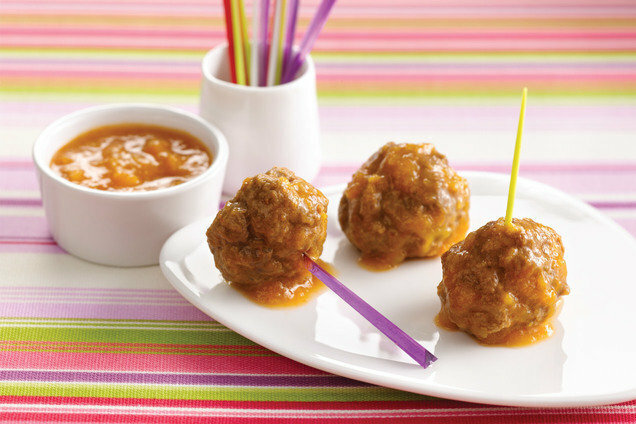 Stir well, and serve meatballs with sauce. 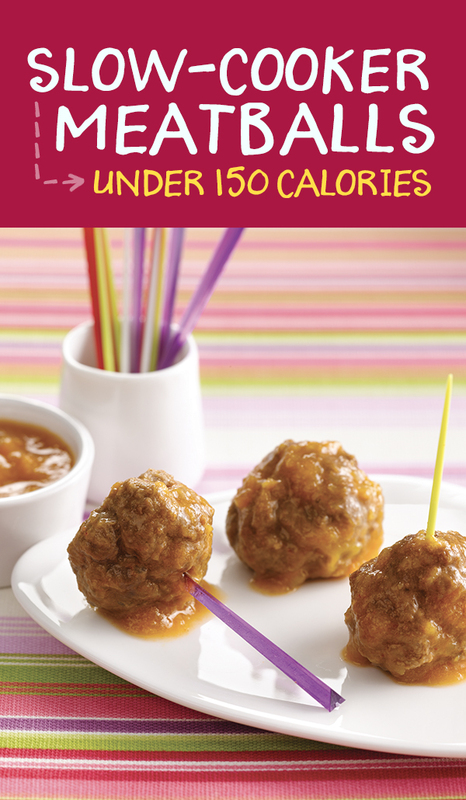 Hungry for More Healthy Meatball Recipes? It's National Strawberry Day, February 27th. Time for some Chocolate & PB Stuffed Strawberries!